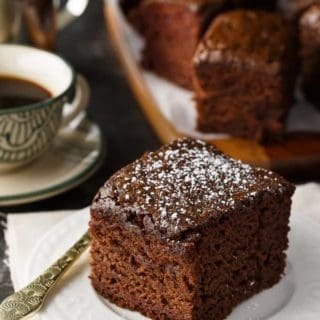 Wacky Cake was popular during the Great Depression because of it’s unique combination of ingredients. It has NO eggs, milk or butter – items that were scarce during that era. Despite not having these key ingredients, it’s surprisingly good. It’s moist, chocolatey and easy to make! My Grandma June always used to say that she came with the Great Depression. She was born in 1929 and remembered food being scarce during her childhood. She always used to say that she will eat anything. I told her she’d be a good candidate for Fear Factor! When you were eating at Grandma’s house, you were expected to eat everything. She’d remind us how food wasn’t always plentiful. If Grandma were still alive, I know she’d appreciate this recipe. I miss her every single day. I didn’t use any frosting on the cake because I didn’t want to use butter or milk to make it. Instead, I dusted with some icing sugar (aka powdered sugar). 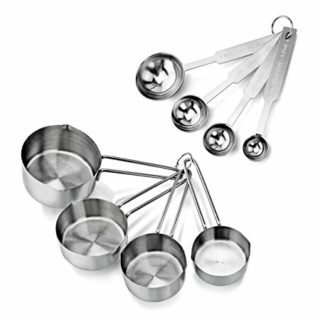 In a large bowl, stir together the flour, sugar, cocoa, baking soda and salt. Make three wells in the mixture. Add vanilla to the first well, add oil to the second well and vinegar to the third well. Pour cold water in the bowl and beat until no lumps remain. 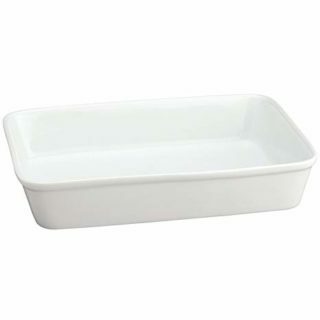 Pour mixture into an ungreased 9×13 baking pan. Bake for 60 minutes or until a toothpick inserted in the centre comes out clean. Love vintage recipes? Try this Cracker Pudding, Shoofly Pie, Radio Pudding, Coconut Pie and Impossible Pie. You might also like this Earthquake Cake or Mocha Cake. Check out these depression era recipes. 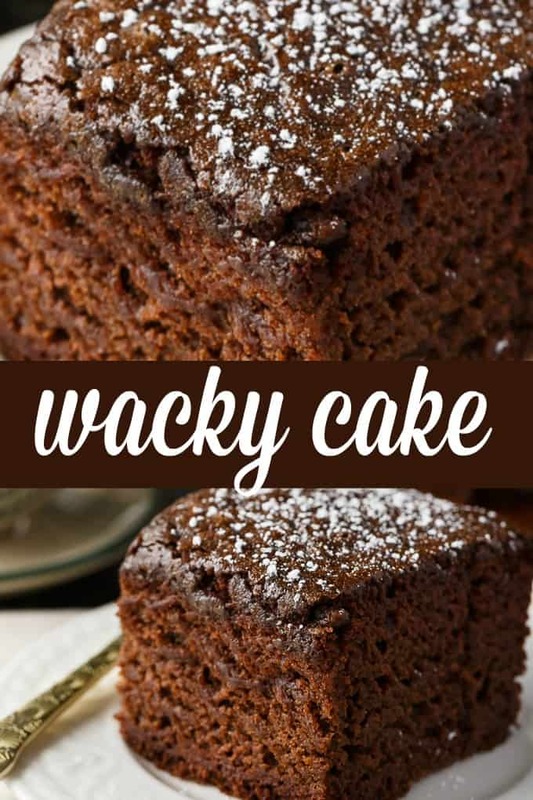 Wacky Cake is a unique vintage recipe you need to try and see for yourself how good it is! 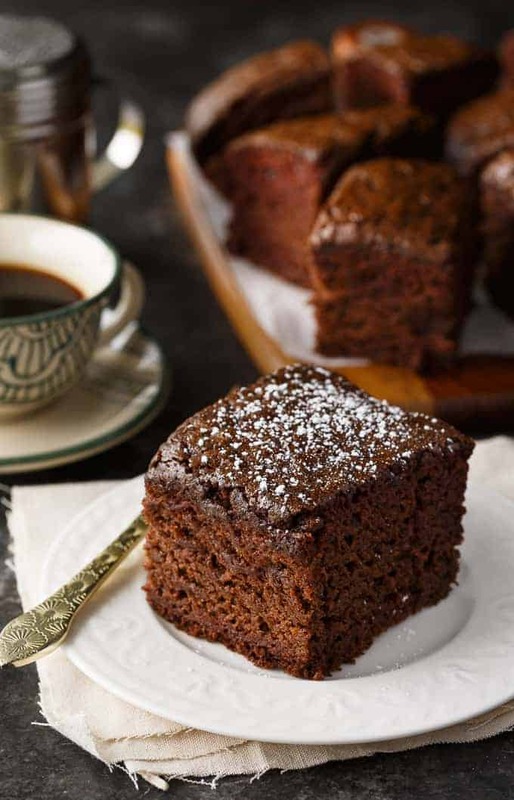 Have you made Wacky Cake before? Moist, chocolatey and easy to make! This vintage cake was popular in the Depression era and contains no butter, milk or eggs. 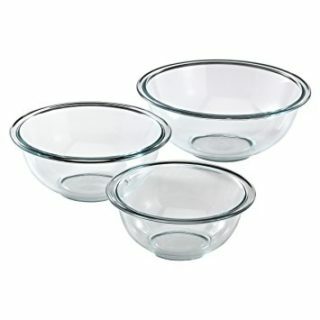 Add flour, sugar, cocoa, baking soda and salt to a large bowl. Stir to combine. Make 3 wells in mixture. Add vanilla, oil and vinegar to each of the wells. Pour in cold water and beat until no lumps are left. Pour into an ungreased 9×13 baking pan. Bake for 60 minutes or until a toothpick comes out clean. Let cool before cutting. This was my mom’s go-to chocolate cake all growing up. She made a boiled chocolate frosting to go over it. Soooo yummy! We love an old fashioned Wacky Cake, it is always good! Hope you have a fantastic week and thanks so much for sharing with us at Full Plate Thursday! Made it & it was oily tasteing! Only email that I have. I first made this in middle school, in my cooking class. Then I made it at home for my family. Ive been looking for the the recipe for so long. I always wanted to make it for my kids, but never could. Now, I’ll just have to do it with my grandkids!